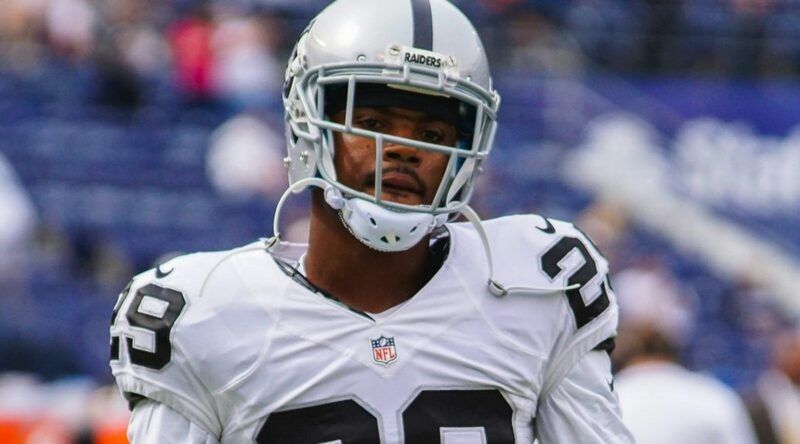 ALAMEDA, Calif. – The Oakland Raiders have signed CB David Amerson to a four-year contract extension, the club announced Tuesday. Amerson joined the Raiders in September 2015 via a waiver claim from the Washington Redskins, where he played from 2013-15. In 14 games for the Silver and Black last year, he set a single-season franchise record with 26 passes defensed to go along with career highs in tackles (62) and interceptions (four). Amerson also set a single-game franchise record when he posted six passes defensed in the team’s victory over the Tennessee Titans on Nov. 29, and added his second career touchdown when he returned an interception 24 yards for the score in the season finale at Kansas City. For his career, the 6-1, 205-pounder has played in 47 games with 35 starts, totaling 170 tackles (148 solo), six interceptions (two returned for touchdowns), 44 passes defensed and one forced fumble in three seasons with the Redskins and Raiders. The Greensboro, N.C., native was originally drafted by Washington in the second round (51st overall) of the 2013 NFL Draft. Amerson played in 39 games over three seasons at North Carolina State from 2010-12, where he totaled 18 career interceptions, tied for third on the ACC’s all-time list.